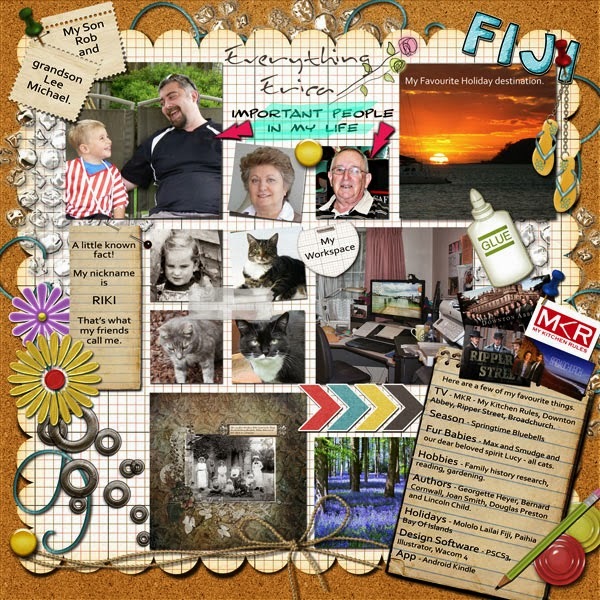 MyMemories Blog: Meet today's Daily Designer....Everything Erica! Meet today's Daily Designer....Everything Erica! Hi I’m Erica Belton of Everything Erica. I live and play in Auckland, New Zealand but I am British born. I have a wonderful blended family, living around the world in France, Britain, Australia and of course New Zealand. Ian and I have been together for over 10 years now and with our blended family we have a total of three children and seven grandchildren. I have a son Robert and grandson Lee, Ian has two daughters, Sandy and Wendy. 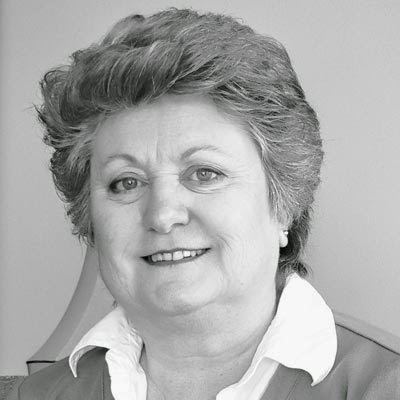 Wendy lives in Sydney and has four daughters, Emma, Laura, Sarah and Kate. Sandy has two children, Samantha and David, the ages of the grandchildren range from the youngest, Lee age 10 (a Christmas baby) to Samantha at 26. I have a sister and brother; my sister lives in France and my brother in England. Our holidays are generally spent in New Zealand, Australia or Fiji, visiting, shopping or just sightseeing – no relaxing by the pool for me, I like to be on the go. 2013 saw us in Hawaii briefly, too briefly and I would love to visit there again, what a wonderful country it is, I got my biggest buzz visiting Pearl Harbour. I toured a lot of Europe during my younger years. Scrapbook designing is my passion. I first discovered a Scrapbooking site called Digital Scrapbook Place whilst browsing for inspiration; I was very involved with altered paint cans at the time which I made for family, friends and just about anyone who wanted one of my creations. Well from then on I became a sponge; never having done scrapbooking of any kind I enrolled for just about all the DSU classes available for PS, and I never looked back. I was very honoured and privileged to be part of the DSP Team. Whilst the closing of DSP after my 6 years tenure was very sad for me I feel excited at the new direction my designing is taking at MyMemories. I find it a wonderfully heart-warming experience to interact with people from all over the world in the forums and to see the awe-inspiring layouts that are created in the galleries. I have been designing for over 6 years now and with my eclectic design style, you’ll always find something to suit your scrapbooking preference, be it heritage, male or female, shabby, romance, children or just everyday life. I get a real buzz out of seeing my designs come to life on other’s creative pages. Genealogy. I’m a huge fan of researching my family history and spend as much time as I can to do this when not designing. Family scrapping is my love, both today’s generation and my ancestor’s. An achievement I will always remember. Throughout my life I’ve been addicted to creating in one form or another. My most loved creative hobby that eventually turned into a worthwhile career for six years was Antique Reproduction Dolls. This is such a wonderful creative hobby that combines a number of disciplines and media. It all starts with the art of bisque painting to reproduce the features of Victorian dolls, next comes a knowledge of historical costuming, fabric, styles, colour combinations for that era and finally the construction of clothes, hats, wigs and shoes. My time was well spent with this fascinating endeavour, I owned and operated my own studio and taught students this art to competition level, where many of them received high recognition. My Greatest achievement was when I won best in show as a professional with a darling little 15 inch Long Face Jumeau. She graces my home along with many of her sisters. Visit Everything Erica at these Social Sites! Enjoy 50% off Everything Erica in the MyMemories Design Shop until October 3!